Become an Agent With Moments of Magic Travel! In late fall/early winter 2016, Disney Cruise Line will return to Galveston, Texas with seven-night itineraries that include Bahamian port stops at Disney’s Castaway Cay! On Nov. 18, Nov. 25, Dec. 9, Dec. 23 and Dec. 30, 2016, the Disney Wonder will sail on a seven-night Bahamian itinerary from Galveston to Key West, Castaway Cay and Nassau. On Dec. 2, the Disney Wonder will sail on a seven-night Caribbean itinerary from Galveston to Falmouth, Grand Cayman and Cozumel. On Nov. 10 and Nov. 14 there are two four-night Western Caribbean sailings to Cozumel from Galveston On and Dec. 16, the Disney Wonder will sail from Galveston on a seven-night Western Caribbean cruise to Cozumel, Costa Maya and Grand Cayman. Call your Moments of Magic Travel agent today at 1-888-50 MOUSE to find your moment of magic in Texas on DCL next fall! Be sure to ask about our FREE Onboard Credit offer! This entry was posted in Current Offers, Disney Cruise Line on May 18, 2015 by Moments of Magic Travel. Start spreading the news!! 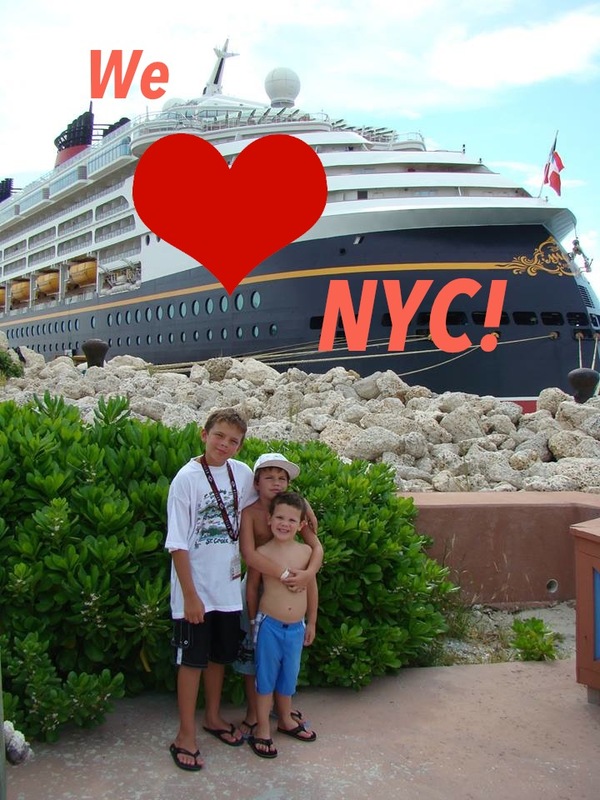 Disney Cruise Line will be sailing from NEW YORK CITY in the fall of 2016! The magic will be even BIGGER for the Bahamian sailings with a complimentary one day park hopper ticket and complimentary transportation to Walt Disney World!! On Oct. 7, 2016, the Disney Magic will sail from New York on an eight-night Bahamian cruise including stops at Disney’s Castaway Cay, Nassau, and Port Canaveral. On Oct. 15, 22 and 29, 2016, the Disney Magic will sail from New York on seven-night cruises that stop at Castaway Cay and Port Canaveral. For even more MAGIC each guest on the Bahamian sailings will receive a one-day Walt Disney World Park Hopper ticket and round-trip transportation for the short trip between the ship and the resort. On Oct. 2, 2016, the Disney Magic will sail from New York on a five-night cruise to Halifax, Nova Scotia and Saint John, New Brunswick, Canada. Additionally, on Nov. 5, 2016 there is a 6 night sailing from New York to San Juan with stops in St. Maarten, Tortola, British Virgin Islands, and San Juan, Puerto Rico. These sailings go on sale Tuesday May 19th for Platinum and Gold members and Wednesday May 20th for the public. We expect them to sell out VERY fast! Call your Moments of Magic Travel agent today at 1-888-50 MOUSE to find your moment of magic in New York, NY on DCL next fall! Be sure to ask about our FREE Onboard Credit offer! You can make the summer last even longer with an exciting offer at Aulani, A Disney Resort & Spa – where it’s warm and sunny year-round. The more nights you stay, the more you save – with 30% on stays of 5+ nights* or 25% on stays of 4 nights*. Book this special offer now through Oct. 26, 2015 for stays most nights Aug. 16 – Dec. 21, 2015*. (Block-out dates are Nov. 25-28, 2015*). Book early and you will get more – an extra $50 Resort credit for every night of your stay when you reserve by June 29, 2015*. That’s more time to enjoy all that Aulani has to offer, like amazing water fun at the pools, sunset-facing whirlpool spas and a lazy river, complimentary nighttime entertainment, exciting island excursions and more – on top of an award-winning spa and beachside dining. Now is the time to immerse yourself in paradise! To book, call your Moments of Magic Travel Agent at 1-888-50 MOUSE or complete our online Quote Request to be contacted directly by one of our team experts! *Stays must be for consecutive nights. Savings based on the non-discounted rate for same room. The number of rooms allocated for this offer may be limited. Resort credits may not be redeemed for cash, refunded, transferred or applied toward room rate, and expires at 11:59 p.m. on package departure date. Savings excludes Resort fees. Limit 2 rooms per reservation. Excludes suites and 3-bedroom Grand Villas. Additional charges may apply if more than 2 adults per room. Cannot be combined with other discounts or promotions. Advance reservations required. This entry was posted in Current Offers, Disney's Aulani on May 13, 2015 by Moments of Magic Travel. Starting today you can save up to 30% on rooms at select Walt Disney World® Resort hotels for stays most nights Aug. 15 – Oct. 3, 2015. *The number of rooms allocated for this offer is limited. Length-of-stay requirements may apply. Savings based on the non-discounted price for the same room. Additional per adult charges may apply if more than two adults per room at Disney Value, Moderate and Deluxe Resorts. Cannot be combined with any other discount or promotion. Advance reservations required. Offer excludes 3-bedroom villas, the Villas at Disney’s Grand Floridian Resort & Spa, Disney’s Polynesian Villas and Bungalows, Bay Lake Tower at Disney’s Contemporary Resort and Disney’s Art of Animation Resort – The Little Mermaid Standard View Rooms. 30% savings for select Disney Deluxe and Deluxe Villa Resorts; lower savings for other Resorts. Premium suites at select Moderate and Deluxe resorts at 10% discount. This entry was posted in Current Offers on April 27, 2015 by Moments of Magic Travel. *The number of rooms allocated for this offer is limited. Savings based on the non-discounted price for the same package. Tickets and options must be used within 14 days of first use. Cannot be combined with any other discount or promotion. Advance reservations required. Offer excludes The Villas at Disney’s Grand Floridian Resort & Spa, Disney’s Polynesian Villas and Bungalows, Bay Lake Tower at Disney’s Contemporary Resort, Disney’s Art of Animation Resort – The Little Mermaid Standard View Rooms, campsites, 3-bedroom villas, Disney’s All-Star Movies Resort, Disney’s Port Orleans French Quarter Resort and Disney’s Port Orleans Riverside Resort (for select dates). Dining plan excludes gratuities and alcoholic beverages. Children ages 3-9 must order from children’s menu, if available. Some Table-Service restaurants may have limited or no availability at time of package purchase. Say ‘Aloha’ to Aulani This Spring! Say ‘Aloha’ to magical savings on a Hawaiian vacation to Aulani this spring! You can can enjoy a whole new world of family fun at Aulani, A Disney Resort & Spa in Ko Olina, Hawai’I – winner of Travel + Leisure World’s Best Awards 2014 for Top Family Hotel in the U.S! From April 6th through June 15th you can save 30% off stays of 5 nights or more*. Save 20% on 4 nights* or 10% on your 3 night visit*. Now is the time to immerse yourself in paradise! Your Hawaiian vacation will offer you a retreat like nothing you have ever experienced! Surrounded by the amazing sights of Ko Olina, this island paradise boasts three amazing pools, four whirlpool spas and and adorable place for kids to splash and play at Keiki Cove- an interactive splash zone! Parents will savor the award wining cuisine, spas, and yoga on the beach and kids will delight in Aunty’s Beach House, beach games on the sand, and ‘Ohana Disney movie nights! Gather the entire family for a Starlit Hui complete with songs, traditional Hawaiian dances and a special appearance by your favorite friends including Mickey, Minnie, Goofy and Stitch! Don’t delay- let your Moments of Magic Travel agent start planning your Hawaiian vacation today by calling 1-888-50 MOUSE! Aloha kâkou! *Save 10% offer for stays of three (3) consecutive nights. Save 20% offer for stays of four (4) consecutive nights. Save 30% offer for stays of five (5) or more consecutive nights. All stays must be booked between now and 4/30/15, inclusive, with all nights between 4/6/15 and 6/15/15, inclusive. The number of rooms allocated for this offer is limited, and room availability may vary by dates of stay. Savings based on the non-discounted price of the same room. Savings excludes Resort fees and taxes. Not valid in combination with any other discounts or offers. Offer excludes suites and 3-bedroom Grand Villas. Limit two (2) rooms per reservation and subject to room occupancy limitations. Additional per-adult charges may apply if more than 2 adults per room. Advance reservations required. Subject to additional restrictions and change without notice. This entry was posted in Current Offers, Disney's Aulani on March 30, 2015 by Moments of Magic Travel. Cool Summer Savings for 2015 Walt Disney World Travel! Today there is a flurry of summer excitement! The 2015 Summer Savings offer for Walt Disney world is now available for everyone! Starting today you can Save up to 30%* on rooms at select Walt Disney World® Resort hotels for stays most nights from June 16 – Aug. 27, 2015 when you book March 23 – June 12, 2015! From “Frozen” Summer Fun LIVE and Star Wars Weekends at Disney’s Hollywood Studios® to new restaurants and shopping at Downtown Disney® and thrills and chills at four theme parks and two water parks, you can get your cool on all summer long during the “Coolest Summer Ever” at Walt Disney World Resort! Staying on property this summer will mean EXTRA magic for your entire family! With special benefits and legendary service, Disney Resort hotels are filled with wonder and excitement. Extra Magic Hours—Experience more magic with extended Theme Park Hours! Exclusive to on-property guests, you can enjoy extra magic on select attractions with more time at one Disney World Theme Park each day. Valid Theme Park admission and Resort ID required. Complimentary Ground Transportation for you and your bags between Orlando International Airport (MCO) and your magical Disney Resort hotel—as well as complimentary transportation throughout the Walt Disney World® Resort. Exclusive Early Access to Disney FastPass+ Reservations- Your Moments of Magic Travel Agent will assist you with securing access to some of your favorite attractions up to 60 days prior to your arrival! 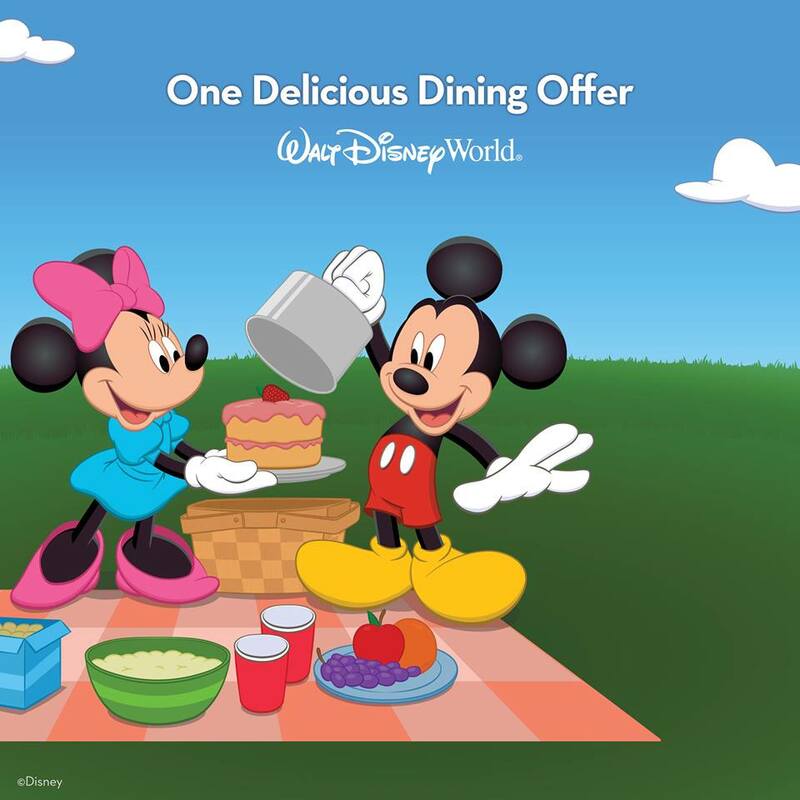 Advanced Dining Reservations– Ask your Moments of Magic Travel agent about recommendations and reservations for the best dining opportunities in the parks and resorts- we will be thrilled to share our knowledge and expertise with you! Magic Bands– Get ready to lighten your load with your own customized MagicBand- your park tickets, room key, dining plan, Memory Maker photos, and more- all on your wrist! MagicBands are included with all on-property room only and package reservations! *Restrictions apply: Additional per-adult charges may apply if more than two adults per room at Disney Value, Moderate and Deluxe Resorts. Cannot be combined with any other discount or promotion. Advance reservations required. Offer excludes 3-bedroom villas, campsites, and Disney’s Art of Animation Resort—The Little Mermaid Standard View Room. Premium Suites at select Moderate and Deluxe resorts at 10%. This entry was posted in Current Offers, Walt Disney World and tagged Summer 2015 Offer Walt Disney World, walt disney world on March 23, 2015 by Moments of Magic Travel. Save with the Preschool Summer Package Offer at Walt Disney World Resort! The summer savings are getting hotter! Starting today families of 3 can enjoy special vacation pricing most Sunday through Thursday nights June 16 – August 13, 2015 when they book March 23 – June 12, 2015! Call today to learn more about this exciting offer- and let us turn your dream of a Disney Destination vacation into a reality! *Restrictions apply- based on resort room availability. Sample package price based on 2 adults and one child (ages 3-9) for a 3-night/2-day room and Magic Your Way Base Ticket. The number of packages available at these rates is limited. Tickets are valid for one theme park per day and must be used within 14 days of first use. Cannot be combined with any other discount or promotion. Advance reservations required. Everyone in the same room must be on the same package. This entry was posted in Current Offers, Walt Disney World on March 23, 2015 by Moments of Magic Travel. Summer Savings for Disney Visa Cardholders! What a flurry of good news! Disney Visa Cardholders have an advance opportunity to save up to 30%* on rooms at select Walt Disney World® Resort hotels! This offer is valid for stays most nights between 6/16/2015 and 8/27/2015! Call your Moments of Magic Travel Agent today to learn more about this exciting offer- and let us turn your dream of a Disney Destination vacation into a reality! *Restrictions apply: Additional per-adult charges may apply if more than two adults per room at Disney Value, Moderate and Deluxe Resorts. Cannot be combined with any other discount or promotion. Advance reservations required. Offer excludes 3-bedroom villas, campsites, and Disney’s Art of Animation Resort—The Little Mermaid Standard View Room. Premium Suites at select Moderate and Deluxe resorts at 10%. Deposit must be made at the time of booking with your Disney Visa® Card or Disney Rewards® Redemption Card. This entry was posted in Current Offers, Walt Disney World and tagged Disney Visa Summer Savings on March 23, 2015 by Moments of Magic Travel. Half Off Disney Cruise Line Deposit for 2015! Half off the Deposit on your next 2015 Disney Cruise Line Vacation! 50% of the deposit at time of booking! The remaining 50% of the deposit will not be due until final payment! Hurry though- you must book by February 15th, 2015 to take advantage of this offer! When you combine this with the FREE Onboard credit offer exclusively from Moments of Magic Travel the savings are truly magical! Call your Moments of Magic Travel Agent today at 1-888-50 MOUSE to book this special offer and let your dream of a Disney Cruise Line vacation set sail! Taxes, Fees and Port Expenses, Gratuities and Port Adventures are not included. Valid for new bookings only on 2015 sailings booked by February 15, 2015. Not valid on GTY Stateroom Categories with Restrictions (IGT, OGT, VGT). Only valid on sailings that do not require total payment at the time of booking. Valid for all sail dates through December 31, 2015. This entry was posted in Current Offers, Disney Cruise Line on January 3, 2015 by Moments of Magic Travel. Weekly Disney Cruise Line Specials! © 2019 Moments of Magic Travel, LLC. All Rights Reserved. Florida Seller of Travel No. ST39058. Enter your email and stay on top of the Magic!